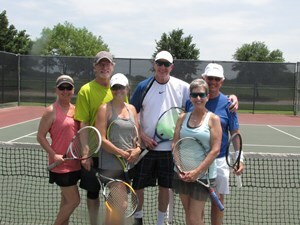 Register to play in our adult tennis mixer. Entry fee is $15 per player and MATA will provide the courts, balls, drinks, snacks and awards. Play consists of 4 rounds of mixed doubles. No partners needed and USTA registration not required. Must be 18 yrs or older to play. Register online at: https://form.jotform.com/90167783799174 *Cancel within 48 hours of the event for full refund.